Dr. Shah is this year’s recipient of the Madhuri and Jagdish Sheth International Alumni Award for Exceptional Achievement. Dr. S. Ismat Shah, a native of Pakistan, is currently professor of physics and astronomy and materials science and engineering at the University of Delaware. 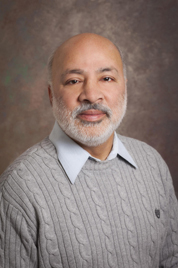 Dr. Shah earned his Ph.D. in material sciences and engineering at Illinois in 1986. Established in 2000, the Madhuri and Jagdish Sheth International Alumni Award for Exceptional Achievement is awarded each year to one of the University’s distinguished international alumni who has helped to better their own nation or the world through their contributions to government, humanity, science, art, or human welfare. Dr. Shah is being honored for his humanitarian efforts in helping to raise funds and resources for Pakistani and Afghan refugees displaced by natural disaster and war; his promotion of higher education in Pakistan by building schools, providing equipment and delivering lectures and workshops; and advancing the use of alternative energy sources in developing nations from Eastern Europe to South Asia. The award also honors his long-standing commitment to promoting dialogue and fostering cross-cultural understanding between the Muslim community and other religious and social groups in Delaware, particularly after 9/11. You are invited to a lecture on April 11th in the Ballroom of the Alice Campbell Alumni Center for an address by Dr. Ismat Shah. A continental breakfast reception will begin at 8:45 a.m. followed by Dr. Shah’s presentation at 9:15 a.m. To register, please visit International Alumni Achievement Award Reception and Lecture.